Linda Moulton Howe is a graduate of Stanford University with a Masters Degree in Communication. 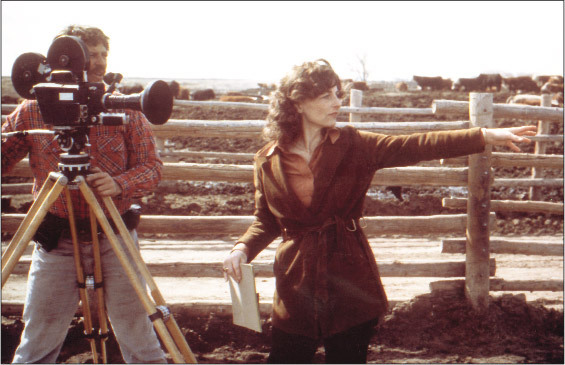 She has devoted her documentary film, television, radio, web, writing and reporting career to productions concerning science, medicine and the environment. Ms. Howe has received local, national and international awards, including three regional Emmys, a national Emmy nomination and was an honored producer for medical and science programming in a WCVB-TV (ABC) Boston station Peabody. 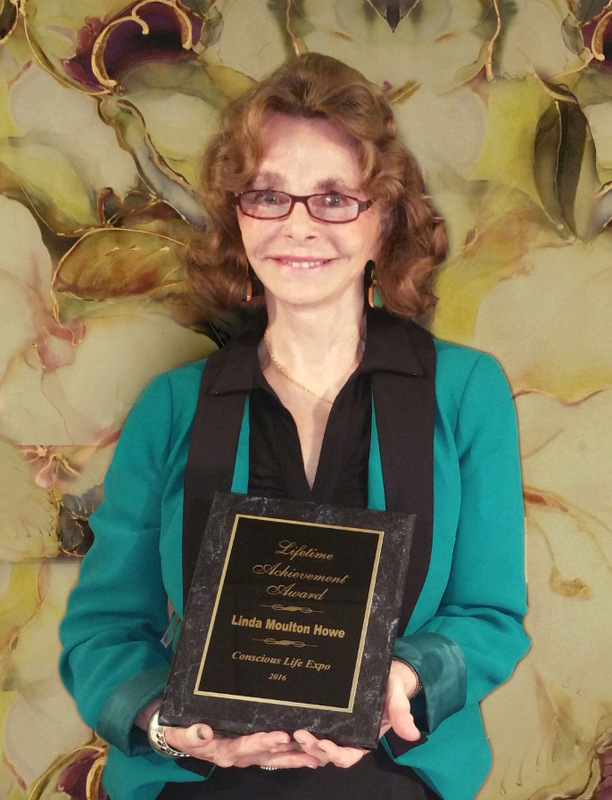 Linda’s award-winning documentaries have included A Strange Harvest that explored the worldwide animal mutilation mystery that has haunted the United States and other countries since the 1960s and continues to date. 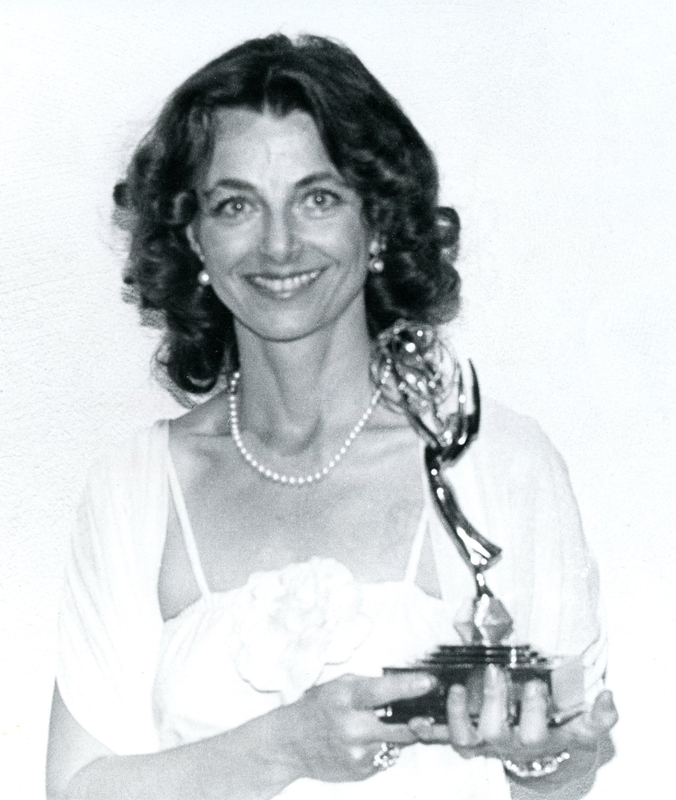 Linda Moulton Howe honored for medical and science productions in 1976 Boston WCVB-TV Peabody Award. Other award-wining productions are Poison in the Wind and A Sun Kissed Poison, which compared smog pollution in Los Angeles and Denver; Fire In The Water about hydrogen as an alternative energy source to fossil fuels. 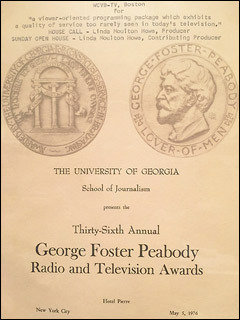 That work was honored in New York City with a 1978 National Emmy Finalist for Community Service. As Director of Special Projects at the KMGH-TV (CBS) station in Denver, Colorado, Linda received the Aviation & Space Writers Association Award for Writing Excellence in Television; Colorado’s Florence Sabin Award for “outstanding contribution to public health;” and a 1981 Chicago Film Festival Gold Award for best documentary to A Radioactive Water — an achievement that was recognized by Colorado’s then-Governor Richard Lamm in a December 29, 1981, letter to Linda. 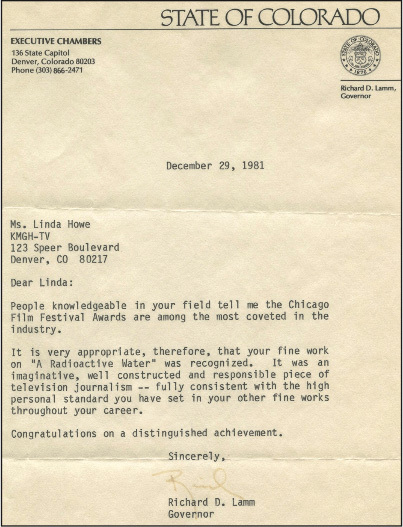 Congratulatory letter to KMGH-TV’s Director of Special Projects Linda Moulton Howe from Colorado’s then- Governor Richard D. Lamm honoring Linda’s 1981 Chicago Film Festival Gold Award for best documentary to A Radioactive Water about uranium and radium contamination of a local Denver suburb’s drinking water. 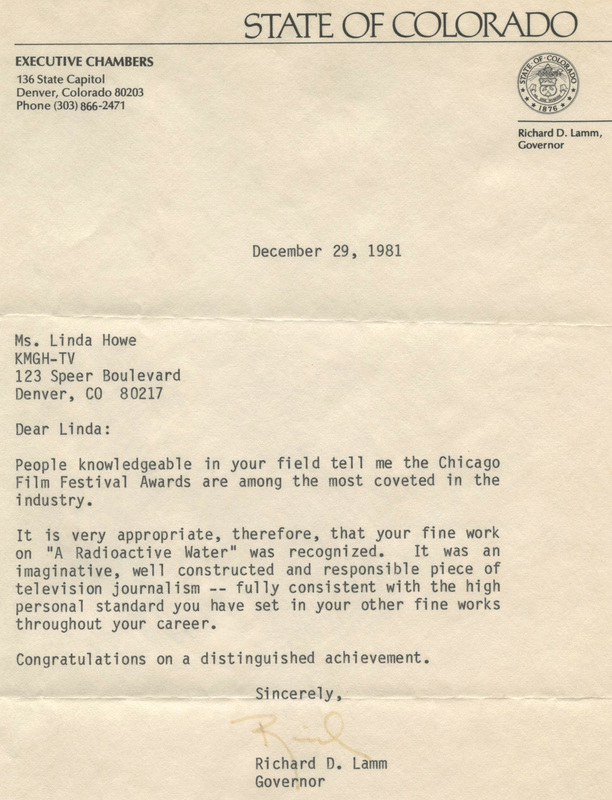 Linda’s investigations and TV broadcasts about environmental issues in Colorado were also recognized and honored by the Environmental Protection Agency with a Citizen Participation Award from actor and environmentalist Robert Redford at the Denver EPA headquarters on January 1, 1980. 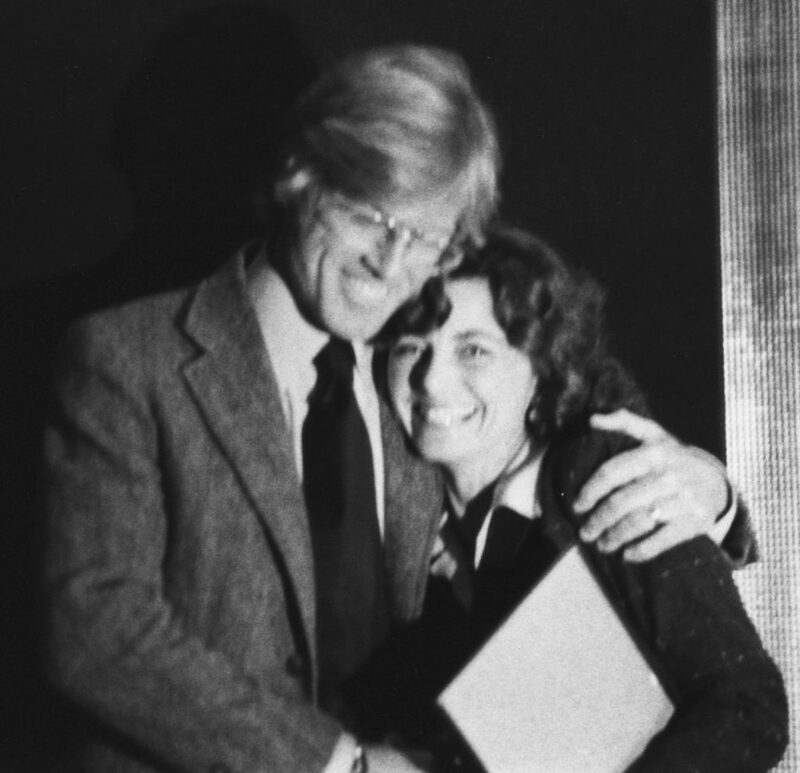 Linda Moulton Howe receiving the Environmental Citizen Participation Award from actor and environmentalist Robert Redford at the Denver EPA headquarters on January 1, 1980. Photograph by Richard Lerner, KMGH-TV. Paralleling her air and water investigations from 1976 to 1979, Linda began in September 1979 to investigate the phenomenon of bloodless and trackless animal mutilations that were occurring not only in Colorado, but every state in the U. S., every province in Canada and around the world in both hemispheres. Her production A Strange Harvest was broadcast on KMGH-TV as a 90-minute evening special on May 25, 1980, to the largest audience in the station’s history for a locally-produced documentary and earned Linda another Regional Emmy. 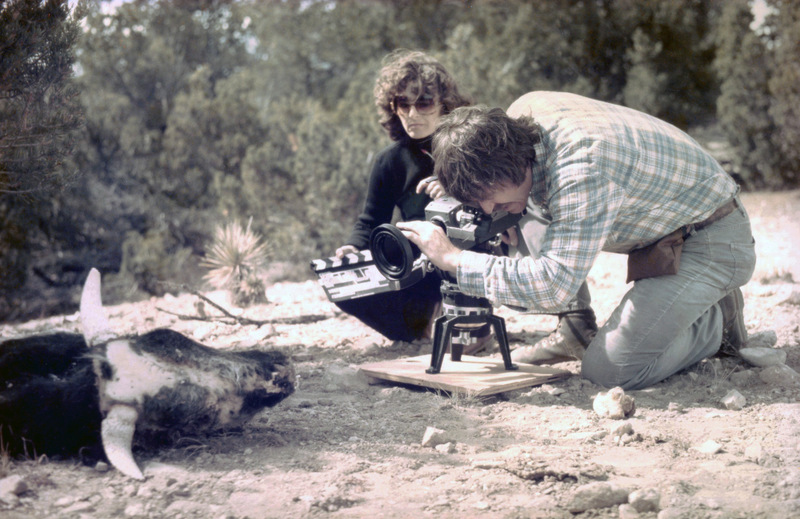 Producer-director-reporter Linda Moulton Howe in October 1979 at the site of a mutilated bull in Walsenburg, Colorado, with cameraman Richard Lerner. Rancher C. E. Potts found his prize bull dead in July 1979 and still untouched by natural predators three months later. With bloodless precision, the sexual organs had been cut out, the tongue and left eye were also bloodlessly cut out and a thin, circular patch of skin was excised from around the missing eye. Photo by Mark O’Kane. 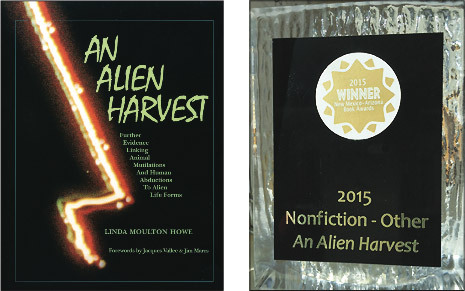 A decade later in June 1989, Linda Moulton Howe released An Alien Harvest – Further Evidence Linking Animal Mutilations and Human Abductions to Alien Life Forms. This is the first of three large books about her ongoing investigations of government policies of denial and cover-up about the worldwide, bloodless animal mutilation mystery that includes not only cattle, but horses, goats, sheep, pigs, rabbits, foxes, cats, dogs and wild animals such as deer, elk, reindeer and Australian kangaroos. 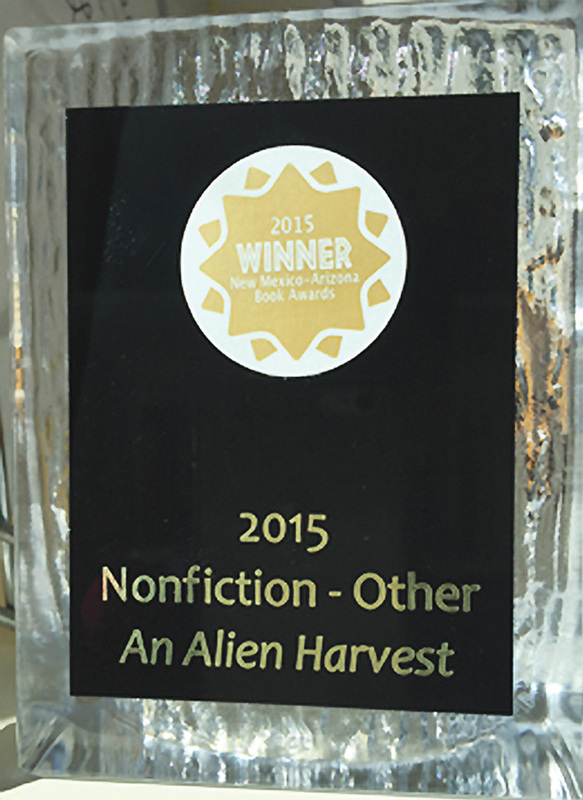 A new and expanded 2nd Edition of An Alien Harvest was awarded Best Non-Fiction by the Arizona and New Mexico Southwest Book Association in December 2015. 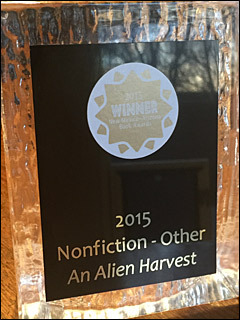 After a 2nd updated and expanded edition of An Alien Harvest was released in 2015, the book received the 2015 Best Non-fiction Award by the Southwest Book Association. Other books by Linda include Glimpses of Other Realities, Volumes I and Volume II, which concern U. S. military, civilian and intelligence testimonies about an alien intelligence interacting with Earth life. Her fourth book, Mysterious Lights and Crop Circles, detailed her investigations of the complex crop formation phenomenon in England, the United States and Canada from 1992 to 2002. 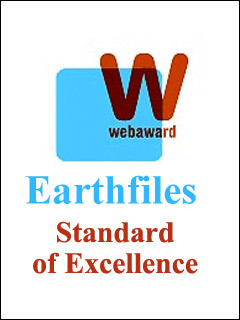 In addition to her television productions, Linda produces, reports and edits the award-winning Science, Environment and Real X-Files news website, Earthfiles.com, that was honored with a WebAward for News Standard of Excellence; a W3 Silver Award in the news category; an Award for Standard of Excellence presented by the internet’s WebAward Association; and the Encyclopaedia Britannica Award for Journalistic Excellence. Linda does radio news reports about science, environment and Earth mysteries on iHeartMedia Premiere Radio Networks Coast to Coast AM throughout North America. She has also co-hosted with retired USAF Tech Sgt. John Burroughs a series of PHENOMENON Radio broadcasts on digital broadcaster KGRA. The subjects range from military, scientific, medical and technology issues to the historic December 26-28, 1980, mystery of unidentified aerial phenomena interactions with USAF personnel at NATO’s largest air base, RAF Bentwaters/Woodbridge in the U.K.
Linda Moulton Howe, Owner, Reporter and Editor, Earthfiles.com, an award-winning Science, Environment and Real X-Files news website. Image by Brad Stoddard. 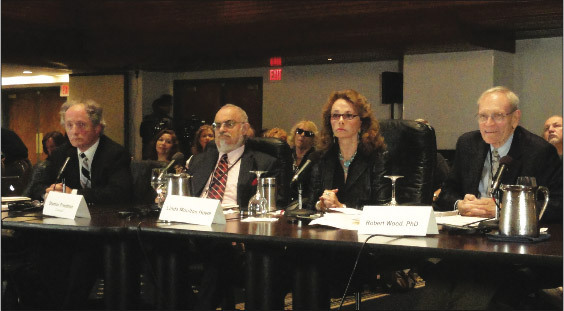 In May 2013, Linda participated as a journalist witness before several retired U. S. Congressional representative panelists in the 2013 Citizen Hearing at the National Press Club, Washington, D. C., produced by the Paradigm Research Group (PRG). Her topics were military and intelligence eyewitness testimonies and physical evidence from animal mutilation investigations that confirmed excisions were cut with high heat. 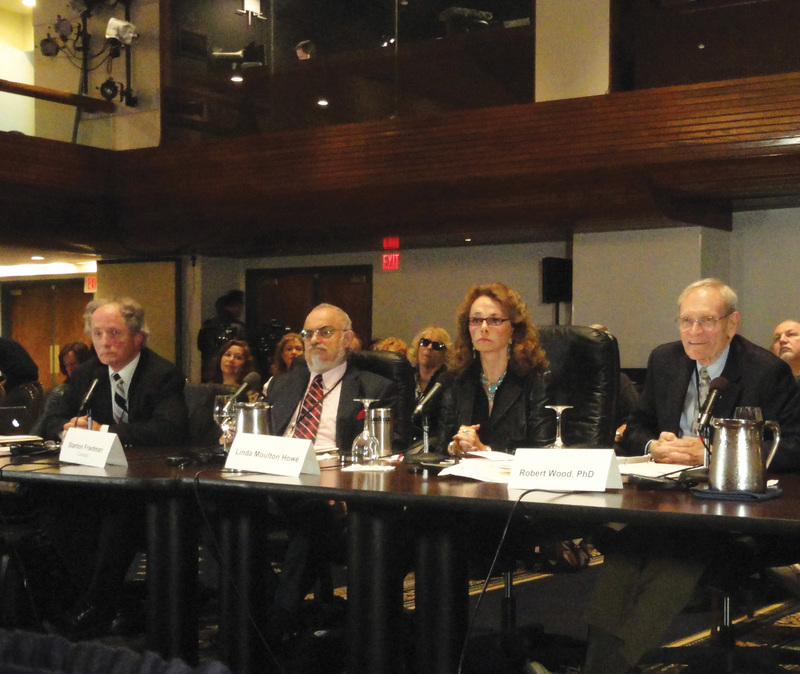 Linda Moulton Howe provided forensic information from animal mutilation investigations before a panel of retired U. S. Congressional representatives at the National Press Club, Washington, D. C., April 30 – May 3, 2013, produced by the Paradigm Research Group. 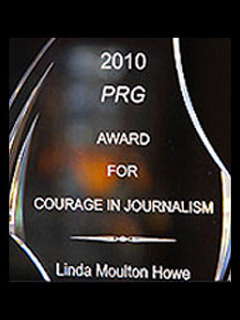 Linda has also been honored with the 2010 Courage In Journalism Award at the National Press Club in Washington, D. C., by PRG. That year she and John Burroughs traveled with The History Channel’s Ancient Aliens TV production to RAF Bentwaters/Woodbridge AFB on the 30th Anniversary of the lights, beams and craft phenomenon in December 1980. 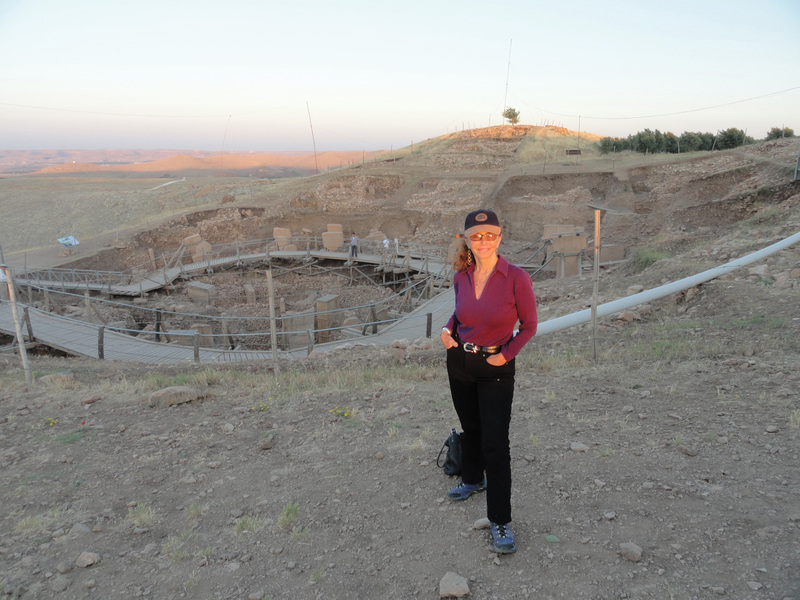 In June 2012, Linda traveled as a reporter with Robert Schoch, Ph.D., Geologist, Boston University, who led a group to Turkey and specifically to the 12,000-year-old Gobekli Tepe site that astonishes archaeologists. 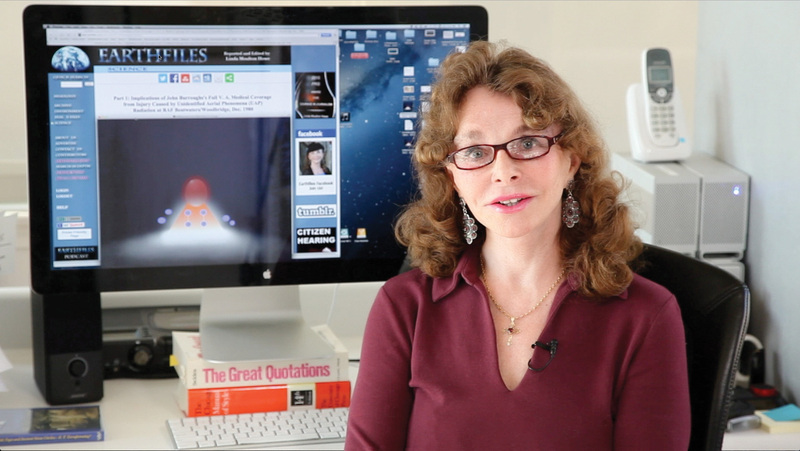 Linda reported about the mysterious “cathedral on a hill” in Earthfiles, radio reports and in The History Channel’s Ancient Aliens. 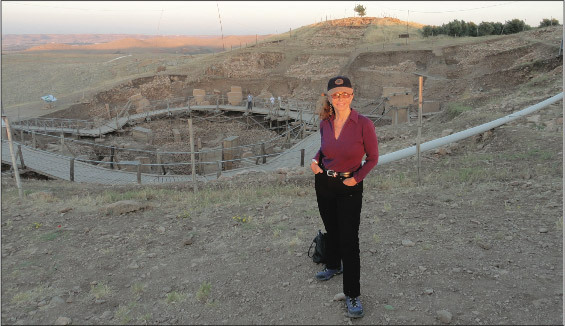 Linda Moulton Howe at 12,000-year-old Gobekli Tepe, Turkey, archaeological excavation where deep ground-penetrating radar has confirmed that under the 30 acres of the hilltop are massive limestone pillars arranged in ring patterns for unknown purpose by unknown architects. Sunrise image on June 13, 2012, by James Sorensen. 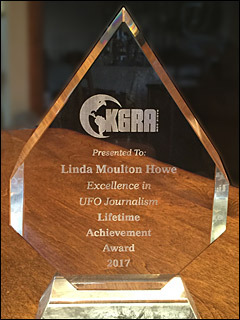 On February 20, 2016, Linda was honored at the LAX Hilton with a Lifetime Achievement Award by the Conscious Life Expo and The History Channel’s Ancient Aliens TV program, in which Linda has been interviewed each season. 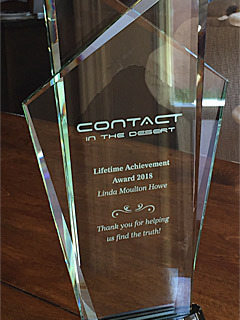 Linda Moulton Howe was honored with a Lifetime Achievement Award by the 2016 Conscious Life Expo, Los Angeles, February 20, 2016. Image by Serena Wright Taylor. 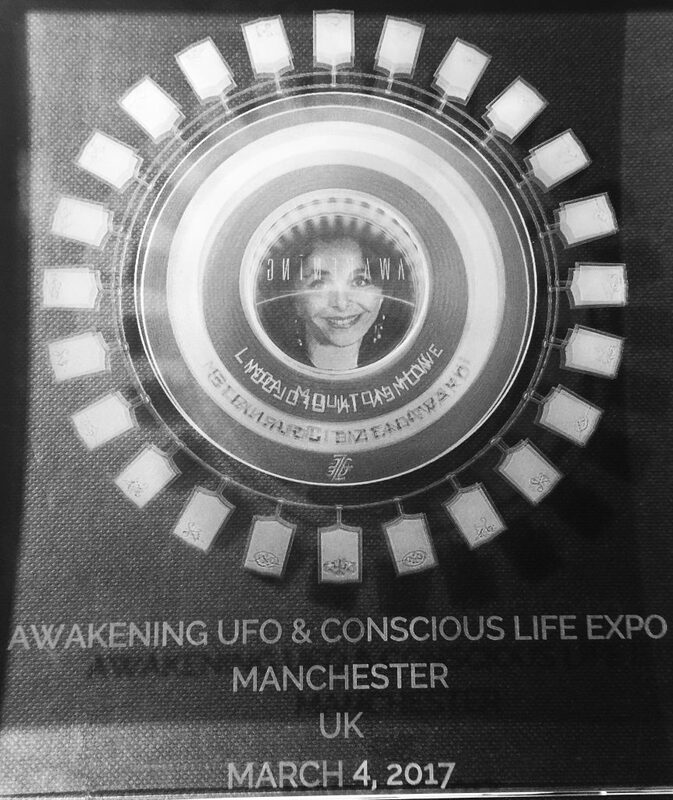 Then on Saturday, March 4, 2017, more than 2,000 people turned out in Manchester, England, for the 2017 Awakening Conference where Linda Moulton Howe was the Saturday evening keynote speaker along with legendary Chariots of the Gods author Erich Von Daniken. 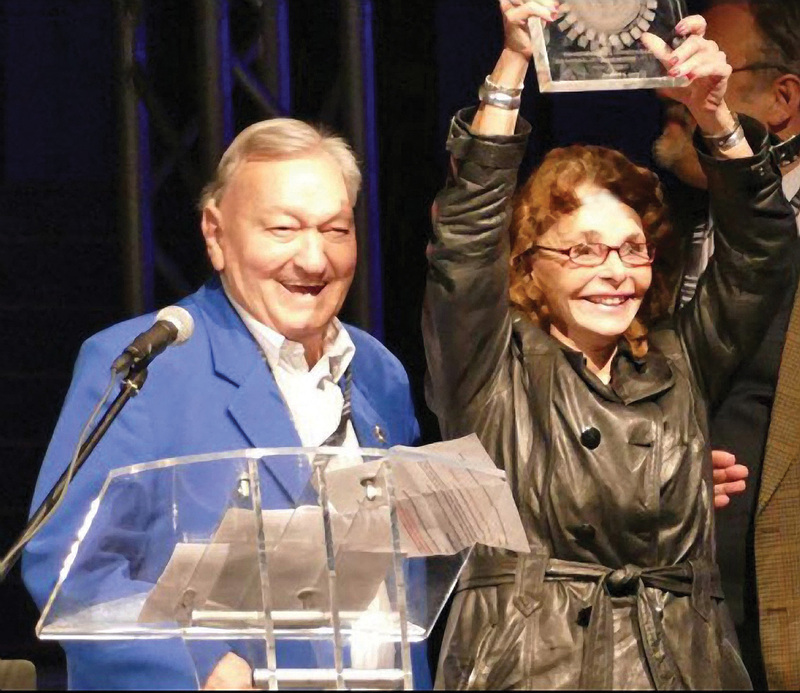 After Linda received a standing ovation, Erich presented her with the 2017 Stellar Citizen Award in crystal for excellence in investigative journalism about UFO phenomena before the enthusiastic audience at the Bowlers Exhibition Centre. Linda Moulton Howe raised the solid carved crystal 2017 Stellar Citizen Award presented to her by author Erich Von Daniken on March 4, 2017, at the Bowlers Exhibition Centre in Manchester, England. Linda has traveled in England, Norway, France, Switzerland, The Netherlands, Yugoslavia, Turkey, Ethiopia, Kenya, Egypt, Australia, Japan, Canada, Mexico, the Yucatan, Puerto Rico, Venezuela, Peru, and Brazil. As an investigative reporter, Linda has spoken at national and international conferences, including NASA’s Goddard Space Flight Center. 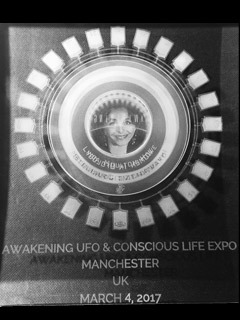 Linda Moulton Howe presented on March 4, 2017, at the Awakening Conference in Manchester, England. A few of Linda’s earlier productions included her 2003 investigation of mysterious light phenomena and human abductions in England and Corguinho, Brazil. In 2002, she traveled to Norway to join astronomers, physicists and engineers in the study of “thermal plasmas of unknown origin” in the Hessdalen Valley. In 2001, Linda traveled to Hong Kong and Laos to investigate “tall wild men” reports for The Discovery Channel television series, Modern Mysteries of Asia. Linda was Supervising Producer and Original Concept Creator for UFO Report: Sightings financed by Paramount Studios and the Fox network in Los Angeles. Its first broadcast was in October 1991, which was expanded into the Sightings series on Fox. Other television productions in the 1980s included The World of Chemistry for PBS and a two-hour special, Earth Mysteries: Alien Life Forms, in association with WATL-Fox, Atlanta. 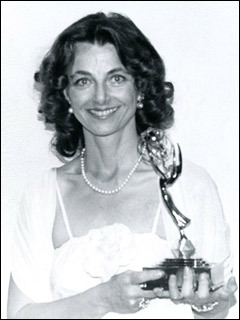 Linda also produced documentaries in Ethiopia and Mexico for UNICEF about child survival efforts; investigated high strangeness in Peru; and was Director of International Programming for Earthbeat, an environmental series broadcast on Turner’s WTBS Superstation in Atlanta, Georgia. 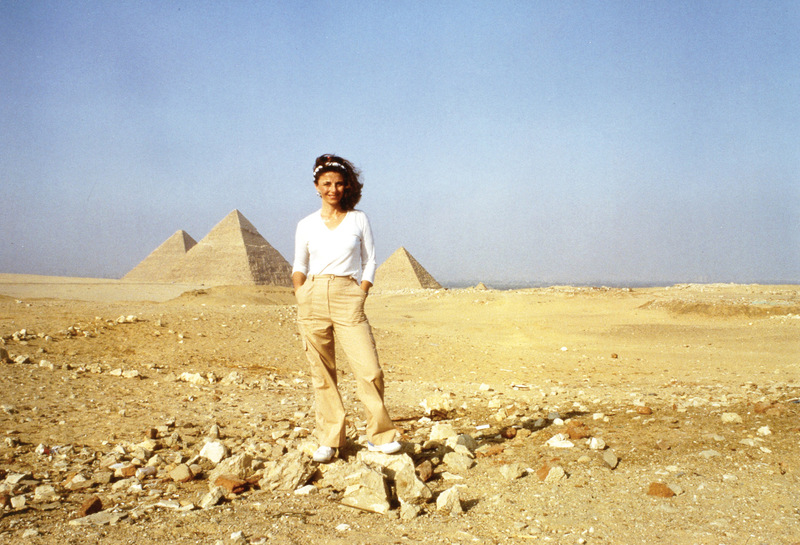 Linda Moulton Howe at the Giza Plateau on the outskirts of Cairo, Egypt, June 1982.